Do you have old, worn-out audio recordings that you wish still sounded the way it used to? Let us digitally convert the audio from your LP’s and records (33 1/3, 45s, & 78s) as well as your standard audio cassette, Reel-to Reel, or 8-Track tapes to high quality digital formats such as AIFF, or MP3. From there, we'll make it into a CD for you to play in your home, or on the road and in your car - so you can listen to them wherever you go! Included. Our technology will format each song and section into tracks - that would include their own individual titles - for easy navigation every time. Utilizing sound innovator Dolby Laboratories’ noise reduction technology, we use this filter on every conversion to ensure a clean recording of your original audio. On all records, audio reels, and cassettes. 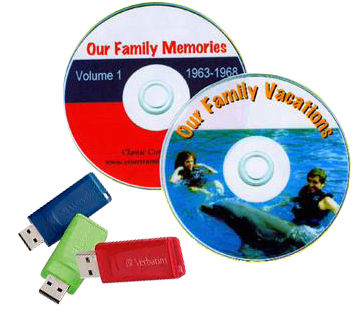 $19.95 per CD (90 minutes). We can also scan the original album covers (front and back) to be printed-out on the actual CD itself (optional). You are the visitor. Thank you for your interest in us.